As Santana in the 1972 film Pulp, directed by Mike Hodges and starring Michael Caine and Mickey Rooney among others. Film buffs will probably remember the brief words in Maltese uttered by veteran actor Joe Zammit Cordina in Midnight Express as the film's main character, Bill Hayes, played by Brad Davis, was arrested on his arrival in Istanbul. Known for his deep guttural voice and his chisel cut facial features, Mr Zammit Cordina died on Thursday aged 75. A good part of Midnight Express, directed by Alan Parker, with a screen play by Oliver Stone, was shot at Fort St Elmo, in Valletta. The 1978 film netted a number of accolades from the British Academy Awards, the Golden Globe, the Directors Guild of America, the 1978 Academy and the LA Film Critics Association. 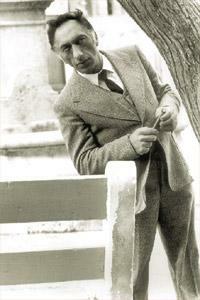 Mr Zammit Cordina's connection with the film industry was cemented in 1964 when, for the first time in Malta, he set up a casting agency for films for actors and extras called Malta Talent Artistes and a sister company baptised with the same name on a semi-professional basis five years later. In 1962, Mr Zammit Cordina played a leading role in Treasure in Malta by the British Children's Film Foundation. The film, shot in Malta, also starred Vanni Riolo, Charles Thake, Joe Mompalao de Piro, Alan Mompalao de Piro and Mary Lou Coppini. Another film in which Mr Zammit Cordina starred was Pulp, shot here in 1972, directed by Mike Hodges with music by George Martin. It was produced by Michael Klinger. Some of the big names that starred in Pulp included Michael Caine, Mickey Rooney, Lionel Stander and Nadia Cassini. Back in 1966, Mr Zammit Cordina starred in Poor Tchernik, an episode from the BBC television series The Spies that was developed out of the spy series The Mask of Janus. The part of the driver in that episode was entrusted to Mannie Spiteri. Mr Zammit Cordina also played the part of a Customs officer in the BBC TV series Paul Temple. He was also included in the bill of the 1968 war film Hellboats and in the more renowned 1970's thriller Eyewitness directed by John Hough and starring the then child star Mark Lester, apart from Lionel Jeffries, Susan George, Jeremy Kemp and Peter Vaughan. Readers who are in the their 50s and 60s would, perhaps, best remember Mr Zammit Cordina as Mr Goon with his standard order "Clear Off" whenever he came face to face with The Findouters in the programme presented by Salvinu Tellus, known affectionately as Iz-Ziju Salv. Others taking part in this radio programme were is Iz-Ziju Frans (Frans Said) and In-Nannu Peppu ( Guzi Mallia). For a number of years, Mr Zammit Cordina edited The Young Listener, a magazine for state primary school students. Veteran actor Vanni Riolo described Mr Zammit Cordina as "meticulous, a top class organiser and extremely nice". Charles Thake, another actor of the old guard, has fond memories of Mr Zammit Cordina as "a very quiet, nice man who did not go about telling on others; that was the kind of gentleman he was. "For example, William Slater, a BBC director, used to trust Joe blindly... one of the most popular plays at the Manoel Theatre I acted with Joe was Il-Mejtin Ma Jhallsux Taxxi with parts played by Johnny Navarro, Armando Urso and Gemma Portelli. "Together with Mary Camilleri, Joe used to take young actors under his wing and nurture them in the art of acting. "It is commendable that actors who have done so much to the theatre and the arts in Malta are given their due because they have contributed to culture more than most people seem to think," Mr Thake said.